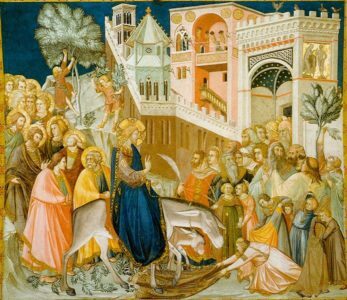 Palm Sunday marks the beginning of Holy Week as well as the last Sunday of Lent. You could also say it is one of the more distinctly Catholic holidays celebrated by the Church in all corners of the world. There will be a procession of palm fronds in parishes big and small. 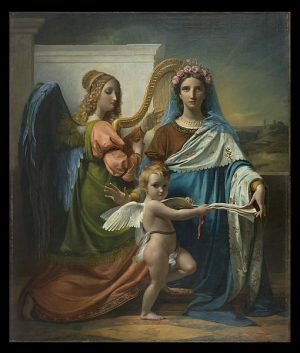 Saint Cecilia is the patron saint of great musicians, poets and hymns. She is one of the most revered early Roman martyrs and one of the seven women commemorated in the Canon of the Mass. We celebrate the feast day of Saint Cecilia every year on November 22 and as this day approaches, let us reflect on her extraordinary life and steadfast faith. November is the time when the Catholic Church focuses on specific prayers and actions for all souls who are waiting for purification in Purgatory. At Mass the Church will set aside time for special prayers for the dead and other acts. 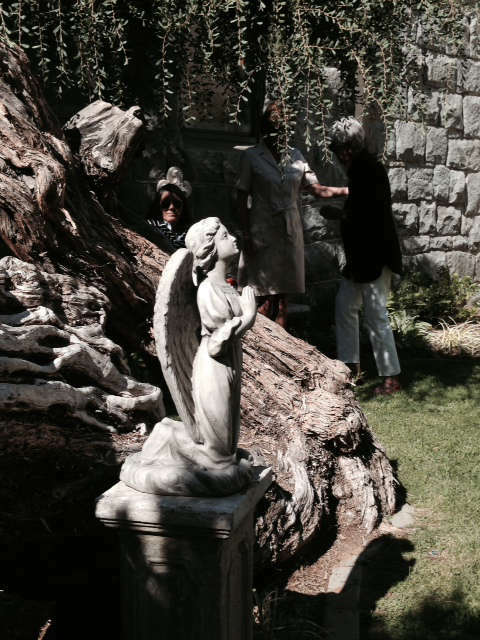 You too can help relieve the suffering of those in Purgatory. 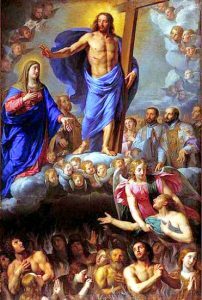 This assistance is known as an indulgence and there are specific acts and prayers that can lift the departed souls out of Purgatory and into Heaven. Many Catholics cherish these special pendants as reminders of God’s grace. These special types of Catholic medals are visual identifications of our Faith. 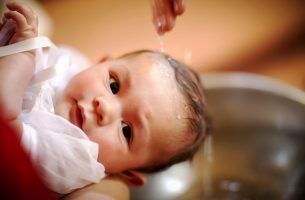 The practice of infant baptism in the Catholic Faith has garnered some criticism especially from fundamentalists who believe that baptism should be reserved for adults and older children. 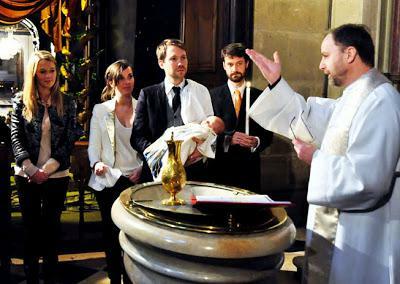 Ever since the New Testament era, the Catholic Church has viewed baptism differently. Here are some of the early teachings on the sacrament of infant baptism. 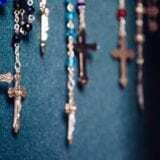 Do Catholic Parents Have to Name Their Babies After Saints? As Catholics, do we have any special considerations to keep in mind when naming our child? 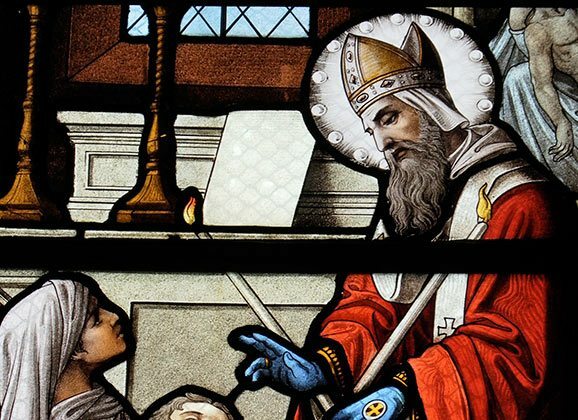 Are we required to name our child after a saint or can we name them with anything we want? What are the reasons why parents choose the name of saints as Catholic baby names? Thanks to fairy tales like Cinderella and Sleeping Beauty, the concept of godparents is often taken to mean magical beings who grant wishes or make our lives easier. The role our godparents have in our journey here on earth is actually so much more significant so we must be careful in the people we choose to take up that role. Baptism is the pivotal first step we take in becoming initiated members of the Church. 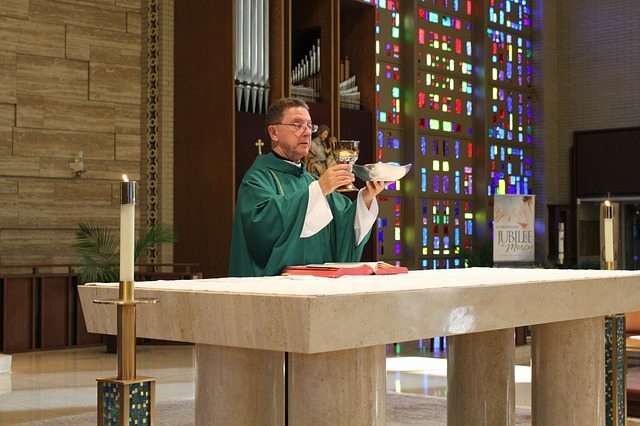 Along with communion and confirmation, baptism makes up the three sacraments of initiation. The Sacrament of Baptism is steeped in history, dating back to the time of Jesus, when He was baptized by John the Baptist. 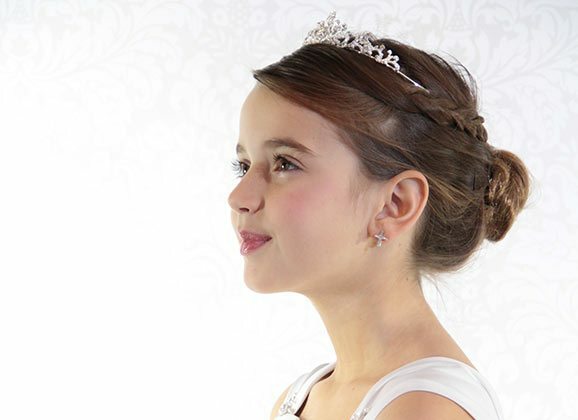 It is a common practice for families to organize parties and gatherings to mark a child’s First Communion and children also wear special clothes for this event. Another way to celebrate someone’s First Communion is by giving them a gift. 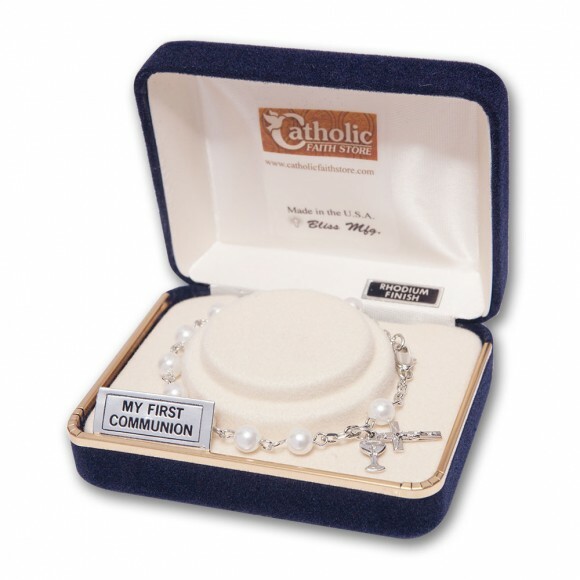 Here are eight meaningful gift ideas for First Communion. 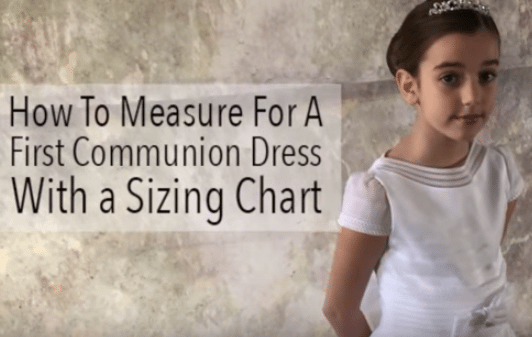 A few things you will need to get properly measure for a first communion dress are a soft tape measure and have your daughter in tight fitting clothes. Much like Easter, Confirmation suffers a mental ‘exit point’ for many young Catholics. 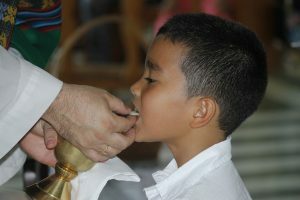 As Easter is looked upon as the end of parent-imposed Lenten fast, some Catholic children treat Confirmation as the end of having anything to do with going to Mass or living a Christian life. 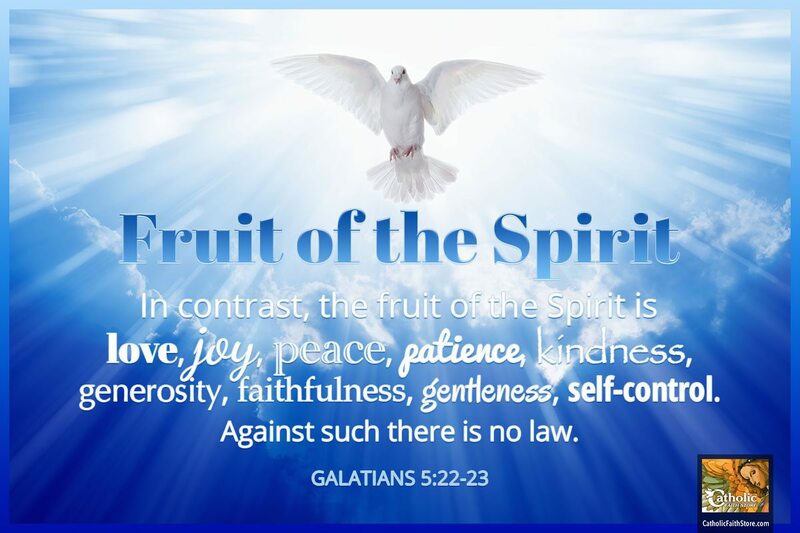 As Christians, we are expected to manifest the twelve fruits of the Holy Spirit in our lives. These twelve fruits are different from the seven gifts of the Holy Spirit. These gifts are wisdom, understanding, counsel, fortitude, knowledge, piety and fear of the Lord. 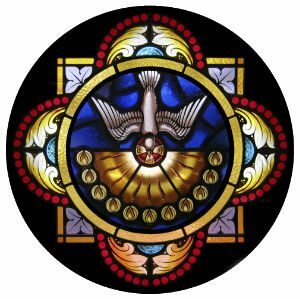 They are granted to us during our baptism and perfected through the Sacrament of Confirmation. The seven gifts serve as virtues for us to follow while the twelve fruits are the actions that those virtues produce. We are expected to manifest these fruits in our lives as Christians. Spring is a busy time in the Catholic Church; not only is it the season when we celebrate Easter, it’s also the season when the sacraments of Reconciliation, Communion, and Confirmation are typically received. Those receiving Confirmation have gone through many months of instruction, reflection, and prayer. “I love those who love me, and those who seek me diligently find me.” (Proverbs 8:17). There are 1.2 billion Catholics worldwide, filling more than 221,700 parishes. 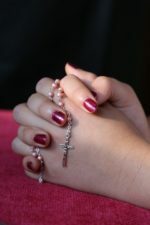 Each year, many adults are called to join the Catholic faith. How does someone join the Catholic Church? 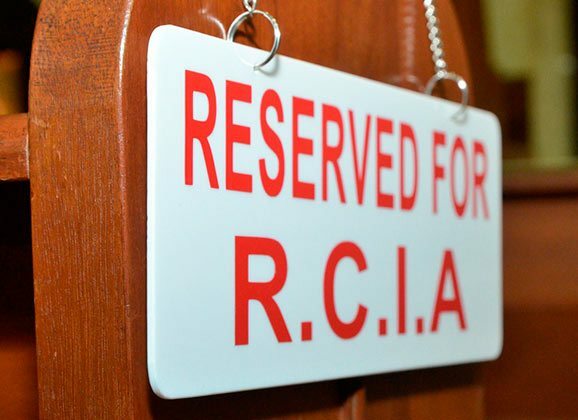 Through a process called the RCIA. 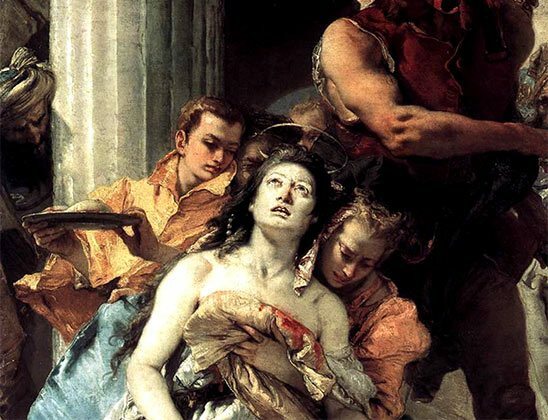 We often pray for Saint Agatha’s intercession in our lives. Saint Agatha is the patron saint of nurses and of breast cancer. Our nurses provide care to so many and they do so with love and respect for each patient. They are with us in our time of need and suffering. 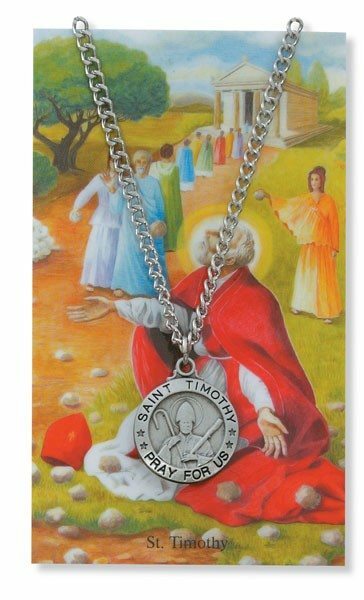 Saint Timothy is the patron saint of Stomach Disorders as he is known to have suffered from stomach ailments. He is a disciple of St. Paul and is credited as the co-author or several books in the New Testament. 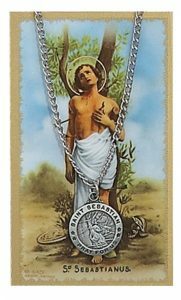 St. Sebastian is a very popular patron saint as he is the patron saint of Athletes and Soldiers. Due to his unwaiving commitment to Christ and the courageous way he faced his martyrdom, he serves as an example of true love of God. 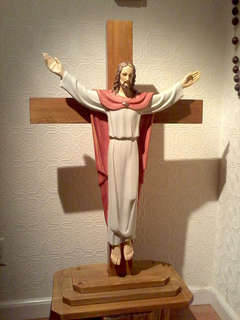 He is usually depicted standing in front of a tree with an arrow pierced through him. 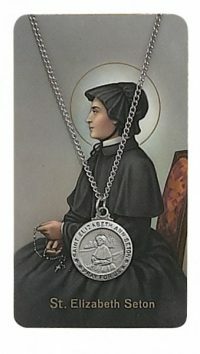 St. Elizabeth Ann Seton married a wealthy businessman and was mother to five children. When her husband passed away she established a school in Boston, Massachusetts, to educate her children. She also opened a Catholic girl’s school in Baltimore, Maryland. 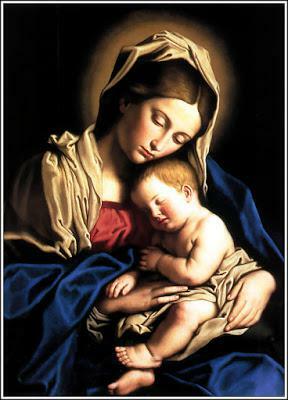 She is the patron saint for Loss of Parent or Child. 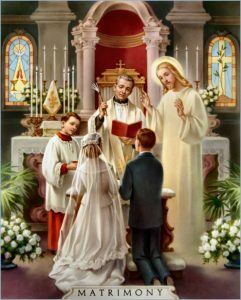 The Catholic Church teaches us to hold marriage as sacred. It is a gift from the hand of God, who created male and female in his image so that they may become one body. 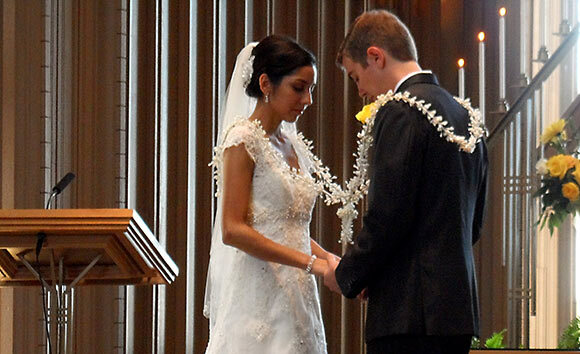 The vision of marriage for the Catholic Church is deeply rooted in the Scripture. In marriage, the love between a man and a woman is blessed by God, a union in faith and a response to God’s call to holiness. The couple becomes the symbol of God’s love on earth. 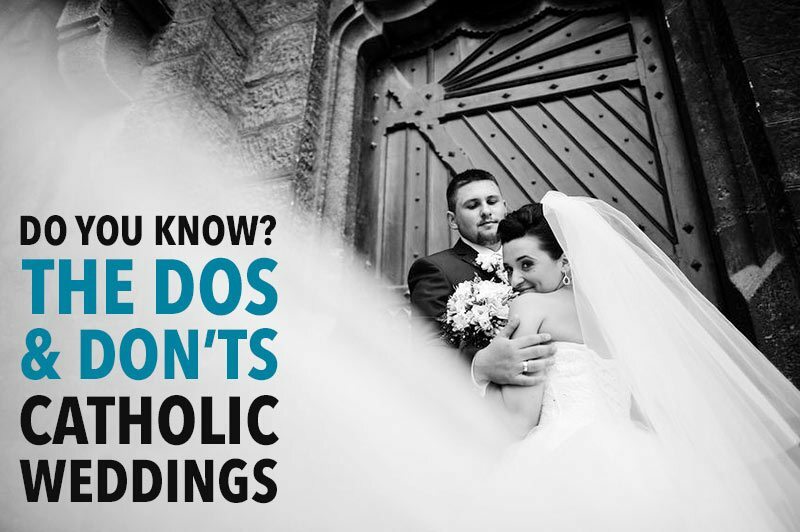 As one of the seven sacraments in the Catholic Church, marriage is more than a legal contract; according to the Catechism of the Catholic Church, “The sacrament of matrimony signifies the union of Christ and the Church. It gives spouses the grace to love each other with the love with which Christ has loved his Church.” A marriage is sealed and strengthened by God’s love and is rooted in the divine plan of creation— the procreation and education of children in the faith. Weddings are ceremonies steeped in tradition. When it comes to planning a wedding, many couples choose to incorporate customs into their religious ceremony that are unique to their culture. While weddings today have long abandoned ancient customs that were once popular (such as Roman brides wearing herbs under their veils as a symbol of fertility) many traditions remain. First Communion — A truly beautiful and spiritual gift. Children will always carry with them the influence that their mothers had in their lives and this influence shapes the way they act and behave as adults. This is why being a Catholic mom is a remarkable honor for us women to have. We are gifted with a precious life that we must care for and look after not only its physical and emotional needs, but also its spiritual well being. In time for Mother’s Day, let’s look at some Bible teachings on motherhood; most of which come through the example of the extraordinary life of Mary, the Holy Mother of God. 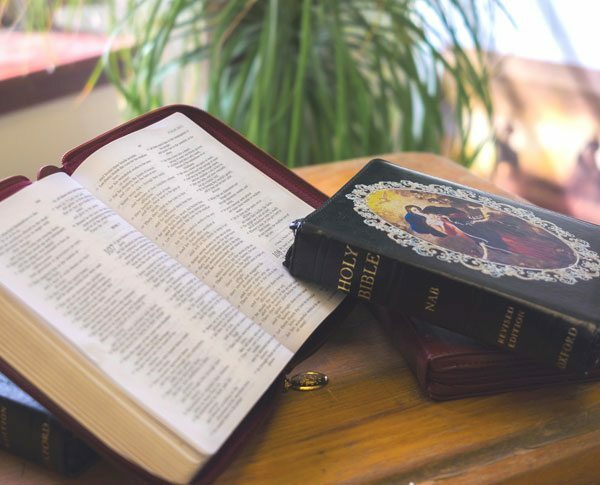 Which Catholic Bible is Right for Me? These are the words of St. Isadore (560-636 AD) on what we gain when we pray and read the Catholic Bible regularly. How many times have you felt alone trying to figure out life’s rough patches, or needed words of wisdom and encouragement, or have given up praying because God doesn’t seem to answer? Lots of times, right? love, joy, peace, patience, kindness, generosity, faithfulness, gentleness, self-control. 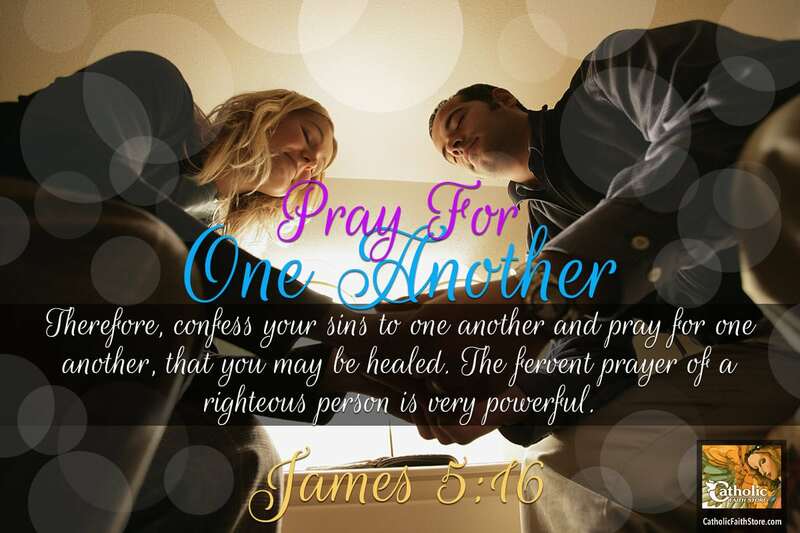 Therefore, confess your sins to one another and pray for one another, that you may be healed. The fervent prayer of a righteous person is very powerful.